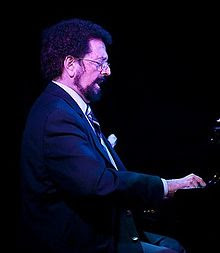 Michael E. Renzi (known as “Mike Renzi”, born April 28, 1946 in Providence, Rhode Island) is an American composer, music director, pianist and jazz musician. He was musical director for Peggy Lee and Mel Torme for over 25 years. He is also friends and partners with jazz singer Cynthia Crane, with whom he has published a Christmas album titled “Our First Christmas”. Renzi also has his own jazz group called “The Mike Renzi Trio”, which published an album together with tenor sax legend Ben Webster.